As the college season pushes forward, women’s and men’s teams across the country vie for a chance to be in the spotlight. While waiting for official coverage may prove fruitless for the majority of teams across the country, there is a real opportunity for teams to broadcast independently through creating their own content. Let’s look at Seattle Riot as an example. While they are the reigning world champions, much of what we actually know about Riot comes from the team itself. 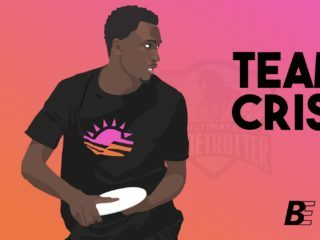 By creating their own content via Luke Johnson’s Riot Worlds Diaries, Riot was able to share an intimate look at their team’s experience at WUCC. Add in Riot’s partnership with photographer Tino Tran, a healthy abundance of blog posts by Riot players, their active social media presence, and Riot has earned their place as one of the most recognizable women’s teams worldwide. Keep the camera rolling. HD cameras are relatively inexpensive these days, and if you are already filming your games for analysis, consider putting together highlight reels or short clips of amazing plays you catch at tournaments. Make friends with ultimate photographers. “Pictures or it didn’t happen.” Invest in hiring an Ultiphotos photographer at a tournament, or make friends with sports photographers who are looking to build their portfolios. Let’s document more inspirational moments like the double catch by Claire Desmond in the Riot vs Fury Finals game at WUCC. Be your own author. 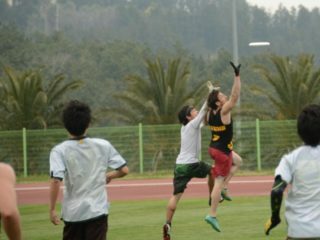 Share your recent tournament recap, the story of one of your hardest working players, a recovery from a serious injury. Help make it easier for your fans to follow your season and media publications to find interesting storylines to write about. Go social. Share your share blog posts and connect with media sources through social media – Twitter, Facebook, Reddit, etc. By producing new content ourselves, we fill in the blanks left by media publications to create a fuller picture of what’s happening within the division. 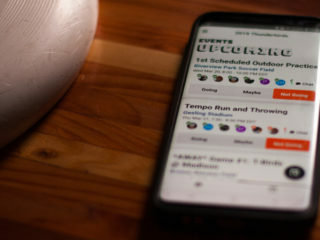 Let’s help ourselves and the female ultimate community through showcasing exceptional athletes, increasing discussion, and creating new and exciting footage for our players to look to for inspiration.